Segemental turning is a near miraculous process that allows you to make objects and designs that Mother Nature can only dream about. 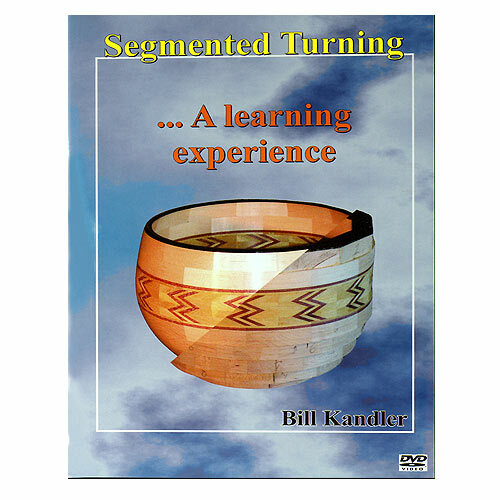 In this DVD you'll follow turner Bill Kandler as he moves through the steps needed to create a successful segmented project. I rated this a 4 as this is a pretty good dvd compared to others but it is self-produced and the editing job is poor. There is one segment in which you can hear a chainsaw in the background. The process presented will give you an idea on how to make and finish a segmented bowl. Like lots of thing, this is just one way of doing it and I recommend watching other turners dvd's too.